Radius Gold Inc. is pleased to announce that it has signed a binding agreement with a private individual to option the 380-hectare Amalia Project which is host to high grade epithermal silver-gold mineralization. Research and Markets has announced the addition of the "Tin Global Market Review 2016/2017" report to their offering. The report presents a thorough study of tin, covering both global and regional markets. BacTech Environmental Corporation ("BacTech" or the "Company"), today announced that drilling began December 6th on the Antiguo tailings located at Telamayu, Bolivia. Kasbah Resources Limited ("Kasbah") and Asian Mineral Resources Limited ("AMR") are pleased to announce that they have entered into a Scheme Implementation Agreement (the "SIA") pursuant to which AMR will, if implemented, acquire all of the ordinary outstanding shares of Kasbah (the "Kasbah Shares") by way of a scheme of arrangement under the Australian Corporations Act (the "Transaction"). BacTech Environmental Corporation would like to provide an update on the status of the Telamayu project. The Company recently arranged for two people from a Montreal-based engineering company to visit the Telamayu mill site in Bolivia. Research and Markets has announced the addition of the "Global Indium Tin Oxide (ITO) Market 2015-2019" report to their offering. 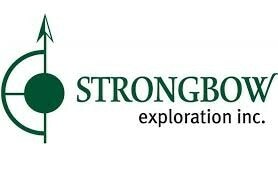 Strongbow Exploration Inc. is pleased to announce that, further to its news releases of March 10, 2015, March 12, 2015 and June 22, 2015, it has received all required approvals for, and closed both its acquisition of the Sleitat and Coal Creek tin properties in Alaska (the "Properties") as well as a $1,000,000 non-brokered private placement financing. Alphamin Resources Corp is pleased to report further encouraging drill results from its new discovery, The Wedge, on its Bisie Tin Prospect (Bisie Project) in east central Democratic Republic of the Congo (DRC).